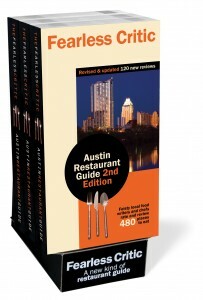 The Fearless Critic Austin Restaurant Guide, Second Edition (Fearless Critic Media, 592 pages, paperback, $15.95, distributed by Workman) has been released. 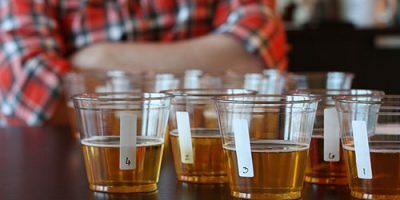 The book’s scope has been vastly increased, from 390 to 480 restaurants in the greater Austin, Texas area, including Round Rock and the Hill Country. It’s now available on amazon.com, and here’s a list of the Austin-area bookstores and retail stores that sell the book. My devoted and patient team of editors and critics includes Rebecca Markovits and Monika Powe Nelson—the co-authors of the First Edition (released in 2006)—along with Alexis Herschkowitsch, Erin McReynolds, and Nat Davis.